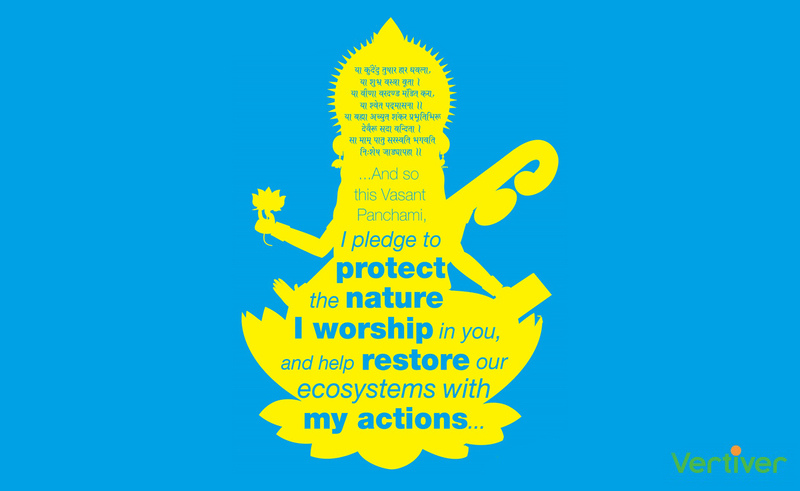 Today is Vasant Panchami, a day that is celebrated in different forms across India heralding the arrival of Spring. People offer their prayers to Saraswati, the Goddess of Knowledge, Wisdom and the Creative Arts to mark this day. Today many of our team members wore yellow, the color of flowering “sarson” (mustard) fields. They all looked beautiful and there was extra laughter and joy in the air today. But these festivals, scientifically dedicated to align us with shifting seasons beg the question of whether any of us who celebrate them have any connection at all to the pastoral landscapes we celebrate in our homes living in severely polluted cities with yellow fields visible only in a beautiful picture on whatsapp or facebook. Aren’t these festivals merely dates on our calendar now? As we fly kites, wear pretty yellow and eat sweets, with particulate matter laden skies of our cities, let us remind ourselves of the core message and symbolism of this day: celebrate nature, protect it wisely and reconnect to the earth.